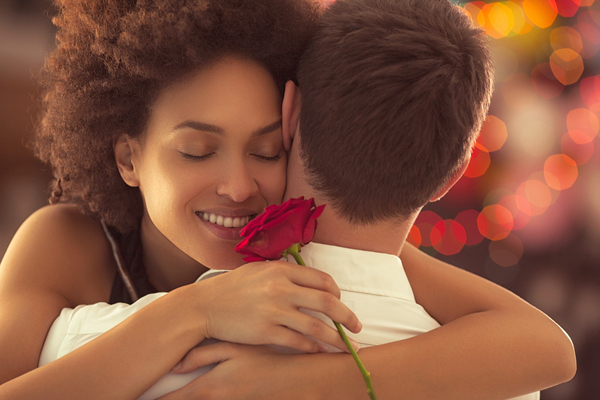 Celebrate a holiday of love with gifts for him and her. Whether you're a planning romantic getaway or a quiet night in, show your Valentine how much you care with the brands they love. Travel like a pro with this ultra-light luggage set. 100% polyester with reinforced corners to defend against the harshest conditions. Features two heavy duty roller wheels on the two large bags and rolling duffle. Smart sleeve on tote for easier travel. Enjoy notes of velvety apricot and sweet raspberry. He'll be drawn in with lush florals, hints of rose petals and Indian jasmine. 1.7oz EDP. Don a bold silhouette with 3D dial and multi-dimensional metal look. Features LED light and world time with countdown timer, 5 daily alarms ad 1 snooze alarm. Water resistance up to 200 meters. It's the ultimate representation of power and distinction. For the man with style and ambition, get him a fragrance that embodies the rich scents of saffron, rich grapefruit and deep redwood. 4.2-oz bottle. 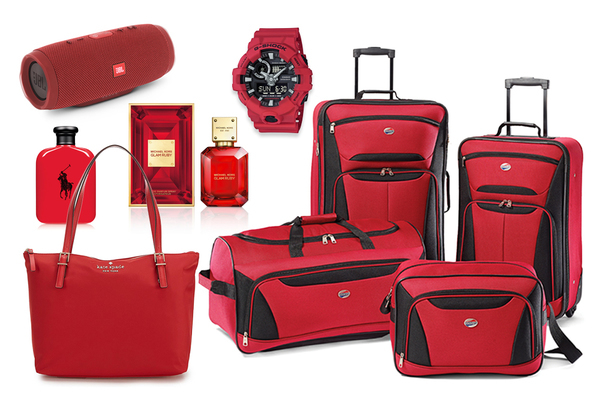 Red is the signature color of love. And you'll love this Maya shoulder bag from kate spade. Made from chic matte nylon, gold zip closure, and 8" double handles. Perfectly pairs with red lips and your favorite print. Wirelessly connect up to 3 smartphones or tablets and enjoy ultimate playing power in a small, compact speaker. It's high-capacity 6,000mAh battery provides up to 20 hours of playtime.